When you are out in public and competing for some attention and you are looking for people to take your business seriously, you need a bold and beautiful way to make a first impression. You need it to be light weight, easily portable and able to be set up, and taken down in quick fashion. We have a display for just about any occasion. 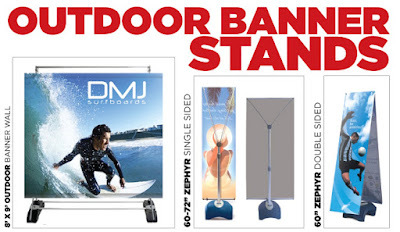 Single sided, double sided, durable and a snap to work with and the best part of all of them is that we can custom print your message in vibrant and fade resistant colors that will outshine anyone you are competing to be noticed. We are happy to be able to assist your business in the ever growing world of competition for attention. We'd be happy to offer you a Quick Quote on any of our outdoor banners and displays along with our other products to help you make a first impression, engage a client and be remembered for what you had to offer them! 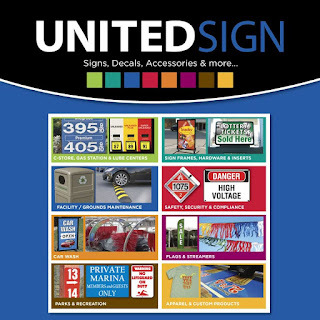 Click on the United Sign Logo below and go right to the Quick Quote Page! Thanks for reading!